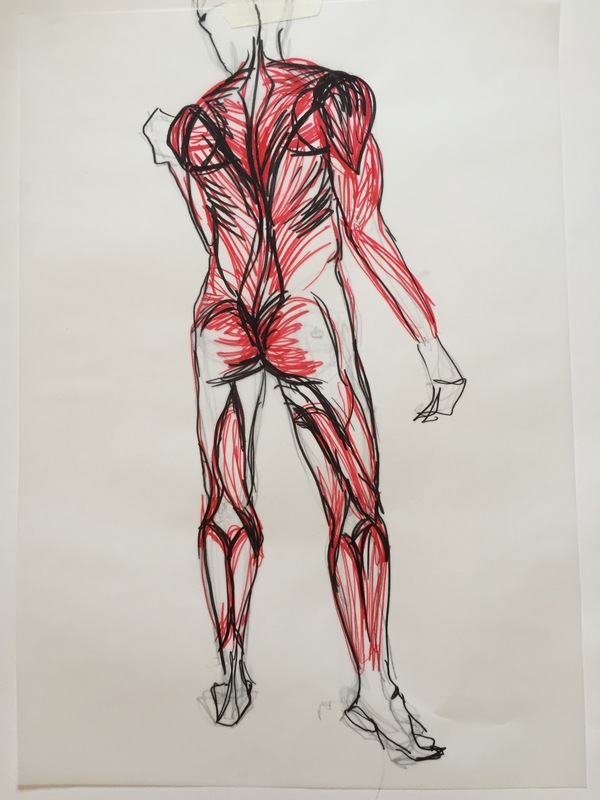 Just went to a ‘Creative Anatomy’ Class yesterday from the London Drawing Society – the same place where I do my usual Monday life drawing classes. I majorly enjoyed looking beneath the outer layer and into the structural systems that shape the human body. I definitely make the mistake of drawing the shapes and lines I see in front of me rather than treating the body as a 3-dimensional mass. This was a great class and I can’t wait for the next regular Monday Life Drawing class to apply this to my art practice. 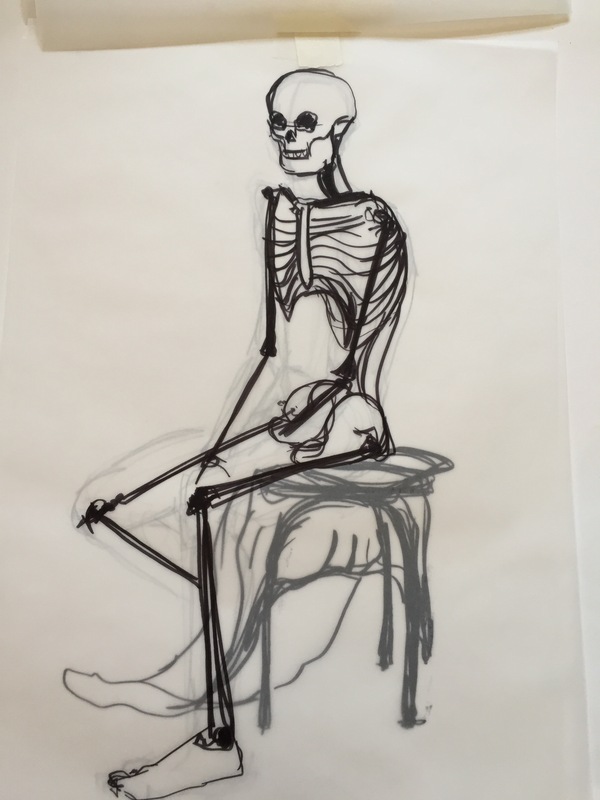 For me, life drawing is very similar to YOGA. By calling the process of joining the mind and body systems into one wholly integrated mind-body system a “practice”, Yoga reiterates that perfection is relative and not a specific end-goal. It’s an ongoing journey that evolves as you do. 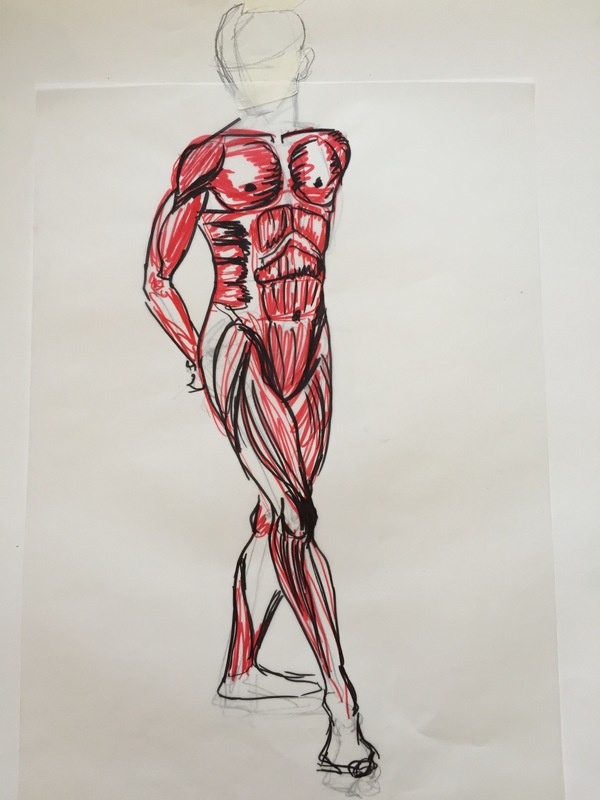 This entry was posted in Art Related and tagged anatomy, art, artist, artwork, creative, drawing, figure, human body, life drawing, london, notebook, sketch, yoga.